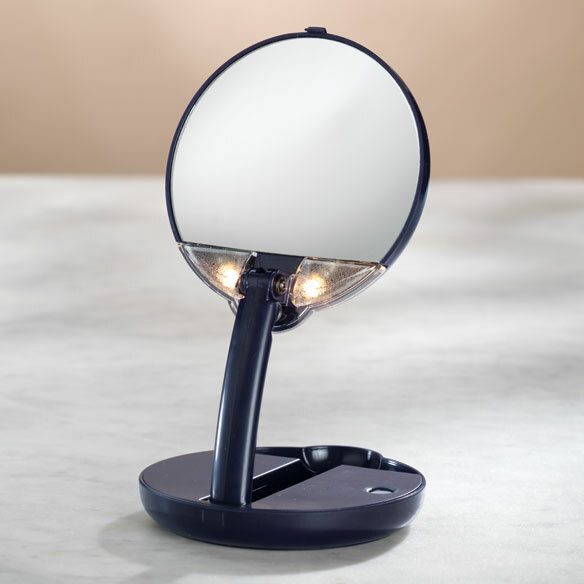 Compact lighted travel makeup mirror with 15X magnification has two bright lights and an adjustable arm. 15x magnifying mirror measures 4" x 1 1/4". 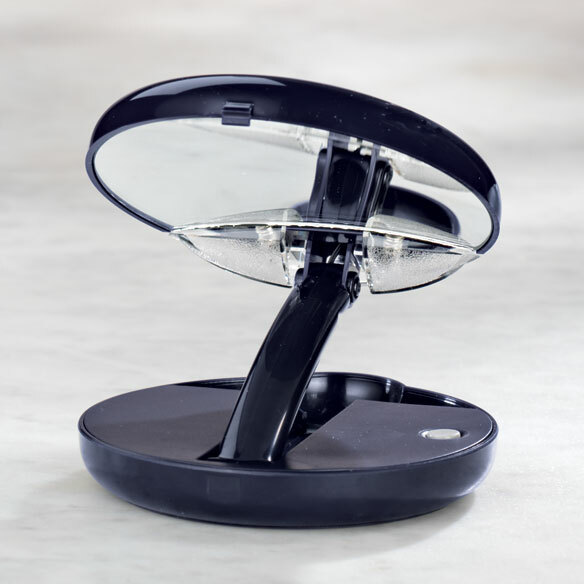 Lighted travel mirror requires 4 AAA batteries (included). To get my hair cut. I can't see to put makeup on. now that I'm older and still like to put on makeup and I wear glasses, this 15x's mirror helps to magnify my skin and sharp details in the areas I need to fenocus on more. For instance eyelashes, wrinkles, pores and I have to take off my glasses to do my eyes and the magnification helps tremendously for a better coverage. I did not get my mirror into my suitcase and was very upset because I rely on it daily. I love the compact size, rare 15x mag. & dual lighting. So very grateful I found you online.